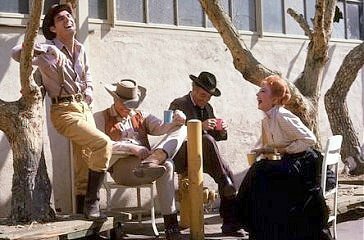 In Gunsmoke, we never see Matt have a good belly laugh. According to his stunt double, though, James Arness laughs "from his toes to the top of his head". Shooting on the Gunsmoke set has been suspended because Arness got a case of the uncontrollable giggles.